Over the years, it is easy to forget about exercise when it’s not routine. Remaining sedentary over life can lead to metabolic disorders and other diseases associated with physical inactivity. A recent study suggested that about 67 percent of the older population is sedentary for at least 8.5 hours each day, suggesting a need to improve activity levels for senior health. Exercise for elderly people should be something performed regularly, and making it fun and a routine can help in the long term. 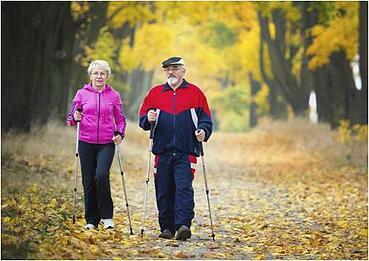 Moreover, there are numerous health benefits the older adult can receive from long-term exercise. Following are 10 reasons seniors should continue to exercise. Cancer: Exercise has been shown to help improve overall cancer risk among a variety of different forms of cancer. Studies have shown a 30 to 40 percent reduction in breast cancer risk among women who perform moderate to regular exercise. Depression: Exercise can have a beneficial effect on personal mood. Studies suggest that group exercise classes among older adults can help reduce symptoms of depression by 30 percent or more in exercising older adults. The modest improvement in depressive symptoms can help maintain an overall greater vitality later in life and help prevent negative feelings or thoughts that are common with aging. Dementia: Dementia is a disabling condition affecting many older adults. With a wide range of mental disorders categorized as dementia, there is a great need to understand how to prevent the condition. Exercise is one prevention strategy that can help slow the mental decline. A recent study showed a 37 percent reduced risk and a 66 percent reduction in risk of dementia when older adults performed moderate-intensity exercise, suggesting every adult ought to exercise to help lower the risk of mental decline and to help prevent mental disability later in life. All-cause mortality: Exercise is known to reduce death from all causes. In fact, a recent study showed a 30 to 80 percent reduction in all-cause mortality when individuals exercised at an intensity level greater than 4 METS, suggesting that exercise can help delay premature death from various causes. Looking to improve balance for your residents, or yourself? Click below to download our content.